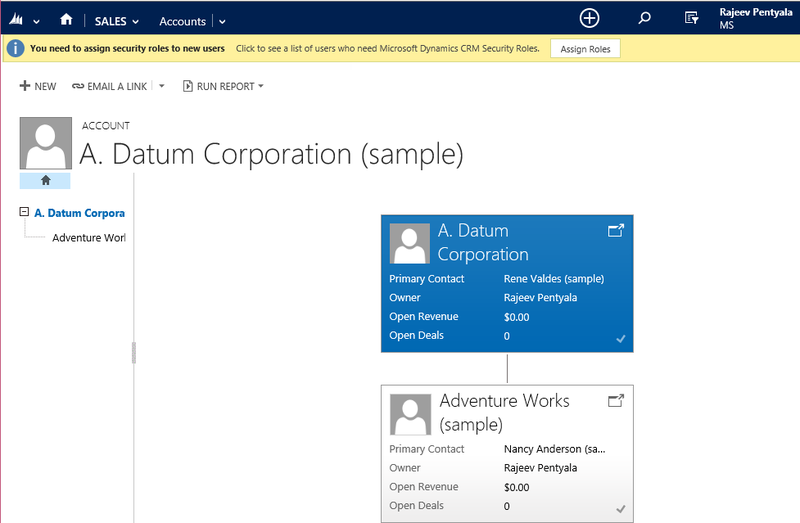 With CRM 2015, you can represent self-referenced records in Chart format, this feature called as ‘Hierarchy Visualization’. If the Entity is configured for ‘Hierarchy Visualization’, a symbol as below will appear for Self referenced records. By clicking the chart symbol you will be redirected to below Chart. Here is the video from Dynamics team on how to configure ‘Hierarchical Visualization’. 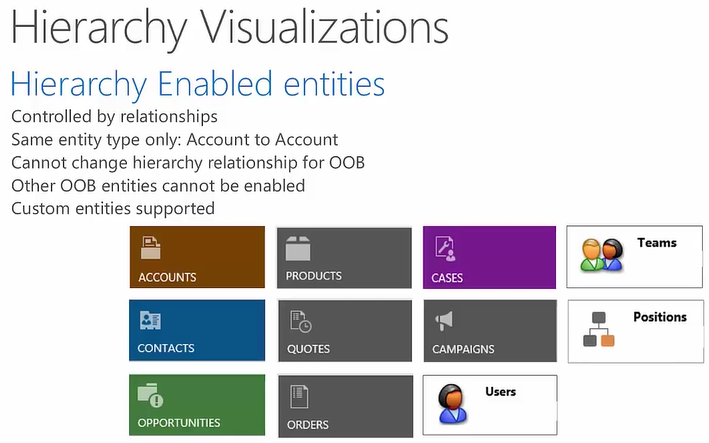 Only below listed Out Of The box entities can be configured as ‘Hierarchical Visualization’. Business Units are not supported. Hierarchical settings can be included in Solutions. Record data displayed in tile is from ‘Quick View Form’. Only 4 fields are displayed on a tile excluding Sub-grids & IFrames. New commands added in ‘FetchXML’ and ‘Condition Expression’ of ‘Query Expression’, to query Hierarchical data. Querying Hierarchical data not supported with OData end point. A new RowAggregate called ‘CountChildren’ has been added which returns Count of Child records for the Current record.